Behind the scenes there’s more to Hollywood Casino Columbus than flashing lights, blockbuster slots and big-time winnings. 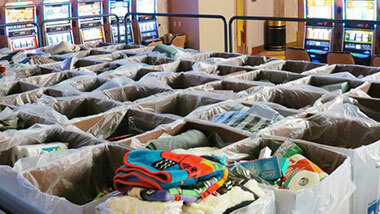 Here at Hollywood Casino Columbus we strive to do the right thing and be a good neighbor in every way. 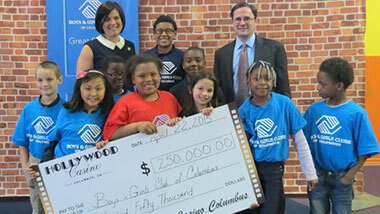 We are proud to support and give back to the local communities and organizations of Central Ohio. We are always seeking to recruit and train prospective team members. The majority of our team members are from and live in Central Ohio. 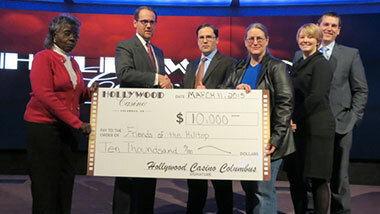 Hollywood Casino Columbus is proud to support local nonprofit organizations in Central Ohio. All donation and sponsorship applications must be submitted online. Please plan to submit your request for sponsorship at least eight weeks prior to the date of your event. 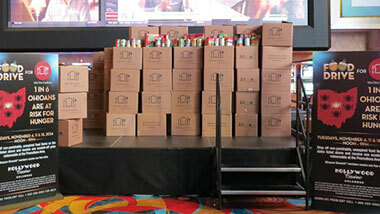 Hollywood Casino Columbus will not provide donations or sponsorships to individuals, religious organizations for sectarian religious practices, elementary schools, middle schools and high schools. If you'd like to request a grant or sponsorship for your organization, fill out our sponsorship request form. 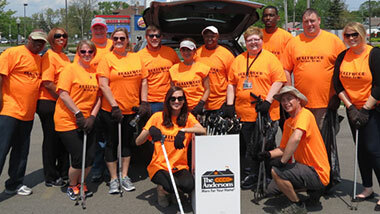 As part of being a good neighbor, we are committed to working with organizations on the West Side and Central Ohio. Through our partnerships and charitable giving, we are truly dedicated to making a positive impact on the West Side of Columbus.